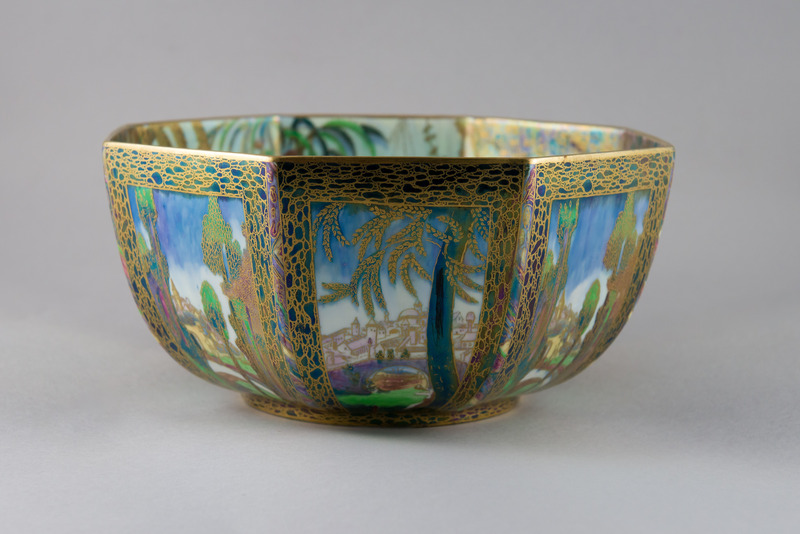 ONE PORCELAIN FAIRYLAND LUSTRE BOWL (English, 19th century) of octagonal shape, and 8 vignettes of oriental villages on exterior. The interior has a panorama of oriental villages and people. The Wedgwood mark is on the bottom. 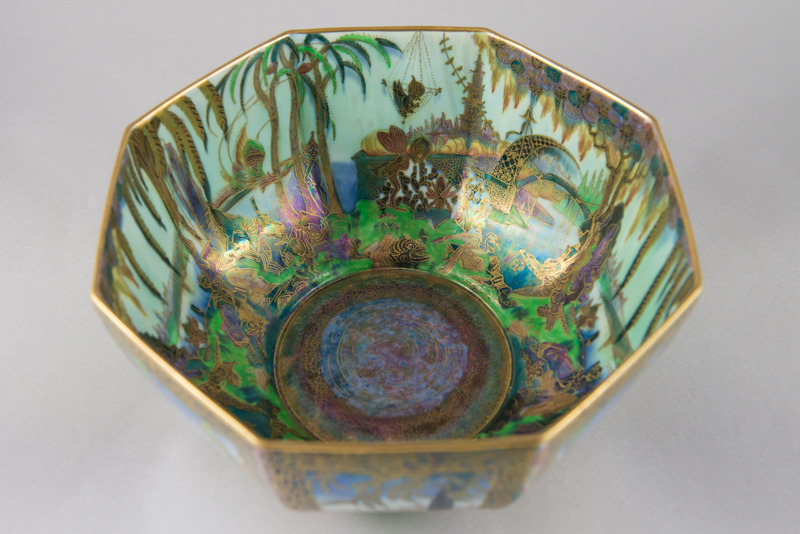 Gift of Mr. Francis J. Connell.